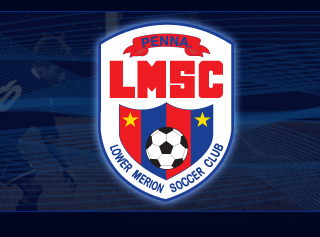 The Lower Merion Soccer Club is a 501(c)(3) not for profit organization. LMSC is run by a Board Of Directors which consists of a maximum of five people. The club is hires one full-time person to serve as club President. The club also has two Directors of Coaching (DOCs), one for boys travel soccer and one for girls travel soccer and two Assistant Directors of Coaching (ADOCs). LMSC also has several other people to run the various programs offered each year. A former player in LMSC and at the college level, Biff has been coaching at LMSC for 37 years. He has led eight different teams to EPYSA State Championships where his teams have won 13 outdoor state titles, 14 indoor state titles, three Region One USA championships and had one team finish second in the nation. Biff's teams have also won 18 Delco Soccer League Division One championships. Biff is the head coach for the Harriton High School boys varsity. During his 24 years as a head coach at the high school level, Biff's teams have won over 270 games. Biff served for many years as a Staff Coach for our state association, Eastern Pennsylvania Youth Soccer Association. Biff was a head coach in their Olympic Development Program and was a long time instructor for EPYSA's various coaching courses. Biff played soccer at Hobart College (class of 1978) where he majored in mathematics and minored in economics. He also has a Masters Degree in Business Administration from the University of Rochester (1980) and a Masters Degree in Computer Science from Villanova University (1985). Biff worked as a software engineer for 19 years and was a manager at YSC Sports (formerly Rocket Sports) from 1999 - 2010. Dale has been coaching in the LMSC system for 14 years. He is our LMSC Boys Travel Team Director Of Coaching (DOC) and he also runs the Summer Travel Team Program. Dale's current squads are U8A Irmãos andU-15A Invictus. Invictus has played in the USYSA National League in the 2017-2018 and 2018-2019 seasons. Invictus won the state championship in 2017 and were finalists in 2018. They were also Region I finalists in 2017 and have captured numerous tournament championships, including two of the last three Bethesda Premier Cup titles. His U8A Irmãos team just finished up their first fall season, playing a year up in all competitions. They placed third in the second flight of the EDP fall league, won the second flight of Battle of Hilltop tournament and were finalists in the second flight of the Jack Walsh tournament. Dale is also a Staff Coach with LMSC, working primarily with the Pee Wee programs. Dale was awarded the LMSC Intramural Coach of the Year in 2012. Dale played high school soccer at Downingtown and he currently holds an USSF D License and a NSCAA Advanced National Diploma. For his day job, Dale is an Associate Professor at the Lewis Katz School of Medicine, Temple University. Daniel is the associate head coach for the Villanova University Women's team. He has over 15 years of professional coaching experience. He has served as assistant coach for the Western New York Flash of the National Women's Soccer League, the 2010 W-League champions, 2011 and 2012 Women's Professional Soccer (WPS) champions and the 2013 and 2016 National Women's Soccer League champions. Daniel was also the head coach for the Colorado Rapids and Colorado Pride women's teams. Daniel was named USL W-League Coach of the Year in 2014. He has also served as the Executive Director of Coaching for the Western New York Flash youth academy. Before getting into coaching, Daniel played professionally for teams including FC Universitatea Craiova (Romanian League champions), Apollon Smyrni F.C. (Greece), Gold Coast United FC (Australia) and Barnsley FC in England. Daniel holds an 'A' level coaching license from the U.S. Soccer Federation. Jesse is currently the head coach of the LMSC Galaxy, our Under 18A boys team and co-head coach for LMSC Invictus, our U-15 boys Invictus who were state champions in 2017 and were state finalists in 2018. Jesse is also in charge of our summer camps and coaches many our our winter training programs. Jesse currently is the associate head coach for the Widener University Men's soccer team. Before that, he served as the Head Men's Soccer Coach at Penn State Brandywine for three years where he led the team to the National Championship in 2018. Jesse also led Penn State Brandywine to the PSUAC championships in 2016, 2017 and 2018. His career record of 50-10-3, and .840 winning percentage is best all-time in the programs history. Jesse was voted PSUAC Coach Of The Year in 2017. Prior to coaching there, Jesse was the Head Men's Coach at Valley Forge Military College. He started his coaching career at Widener University where he was an assistant for four years on the men's side. Jesse played collegiately at Kutztown University and then finished out at La Roche College where he was a team captain, three year starter, and led the team in goals as a junior. Jesse is his high school team's all time leading points scorer, and was a three time first team all-league selection. He coached for five years in the West Chester United Soccer Club before coming to Lower Merion. His teams have won numerous Delco Soccer League Championships and tournaments. In 2014, Jesse was an assistant coach for a team that won the state championship. Pete is currently the head coach for the LMSC Storm, our Under 18 A girls travel team, and the LMSC Impact, our Under 12 A girls travel team. Pete was the recipient of the 2017 LMSC Girls Coach Of The Year Award. He also won the award back in 2006. The Storm have won their age group State Championship in 2016 and 2017. The Storm have also been crowned indoor state champions five different years. The Storm were also state finalists in 2014 and 2015 as well as semifinalists in 2010 and 2013. Pete also led the Impact to the state finals in 2017. 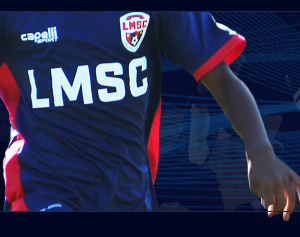 Pete has been coaching youth soccer for over 20 years including the last 14 with LMSC. In 2017, Pete led both the Storm and the Impact to EPYSA Indoor State Championships. Pete earned his NFHS/NSCAA Professional Development Certificate as well as his NSCAA Mental/Physical Player Development Diploma. Pete coached our LMSC Stingrays girls team through U-14 and the LMSC Mustangs boys team from U-13 through U-18. The Mustangs were ranked in the top 10 in the state and won the Indoor State Cups at Under 17. Pete also coached the LMSC Fury team at U-9 and U-10 years and was the first LMSC girls coach to lead a girls B team in the top division of PAGS, finishing with a 4-5 record. Many of Pete's former players are currently playing at the college level. Pete holds a USSF National License, NSCAA diploma, NSCAA Goalkeeper Diploma and a USFF Futsal Certification. Howard Burde has been involved in the Lower Merion Soccer Club as a coach and volunteer for five years. His son, Jed, plays in the LMSC Travel Team Program. In addition to his volunteer work for LMSC, Howard has been a contributor to the Lower Merion community since moving to the area in 2002. He has served as a member, then president, of the Lower Merion Board of Health; as a board member of the Beth Am Israel synagogue, and as a Lower Merion Little League coach and volunteer. He also helps on special projects for the Pennsylvania Academy of Ballet in Narberth. Howard has a solo law practice, Howard Burde Health Law, LLC, and was recently named a Pennsylvania Super Lawyer. In his practice, Howard works health industry entrepreneurs and investors to build health care businesses. He counsels emerging health industry clients on transactional, joint venture, risk management, privacy, security and licensing matters as well as capital formation and strategic development issues. He counsels health information technology companies and other health care sector clients on complex health law and business issues. He also engages at the highest levels of health care public policy process at federal and state levels. Howard is a Board Member of the Health Information Management Systems Society ("HIMSS") (the health information technology professional and trade association); and the founder and organizer of the HIMSS/HIT Venture Fair and the Building Your Health Information Technology Business program. Howard is primary author and editor of four books on health law, the most recent of which was translated into Japanese and Korean (though he had nothing to do with the translating). He is a frequent speaker on health law topics around the country. Prior to moving to Bala Cynwyd, Howard served as Deputy General Counsel for Health and Human Services under Governors Tom Ridge and Mark Schweiker, and as Chief Counsel of the Pennsylvania Department of Health. Howard graduated from Duke University and the University of Virginia School of Law. Ed has been coaching at LMSC in the travel team program as both a head and assistant coach for 12 years. He also served as a head coach in the club's Intramural Program. In 1998 he started a run as Biff Sturla's assistant coach on the LMSC Hammerheads. He continued as Biff's assistant thru U-15 at which time he became the team manager. The Hammerheads went on to win numerous Delco League Division One titles, countless top flight tournament championships, 7 outdoor EPYSA State titles, 2 Indoor EPYSA State titles, 6 Region One titles, two National 2nd place finishes and two 3rd place National finishes. Many Hammerhead players went on to play college soccer at the Division One level. In 2014 Ed became the assistant coach on the LMSC Fusion with his son Alec who played for the Hammerheads and then played for Division One Villanova University for four years. Ed and Alec currently coach the LMSC U-10A Stealth which were U-9 EPYSA Indoor State Champions and EPYSA Outdoor State semifinalists. Ed's three sons, Danny, Evan and Alec all played at LMSC for many years. Ed has also been a JCC Maccabi coach for team Philadelphia at U-13 and U-16, competing against teams from all over the country as well as international competition; the last seven years he has coached together with his son, Danny. His teams have won 6 gold, 2 silver and 1 bronze over 13 years of competition. Ed graduated from The Pennsylvania State University in 1979 with a B.S. in Accounting. He attended The Temple University School of Law, earning a J.D. in 1982. He is admitted to the bars in both Pennsylvania and New Jersey and is the managing shareholder of the law firm of Brownstein Vitale & Weiss, P.C. He has actively served the community for many years on the Boards of Federation Early Learning Services and The Philadelphia Jewish Sports Hall of Fame and has been honored by the State of Israel and Israel Bonds New Leadership.